Reports have emerged of another significant round of layoffs at Disney’s (NYSE:DIS) ESPN in the coming months. According to the reports, on-screen and radio talent are on the chopping block this time. The layoffs are expected to be completed by the end of June. The details of the layoffs are reportedly still being finalized. No announcement has yet been made about which personalities will be affected. While the company intends to buy some of the employees out of their contracts, those who have contracts up for renewal are most at risk. Sources within ESPN stressed that behind-the-scenes people will likely not be impacted by the cuts. ESPN also had major layoffs in October 2015. Both Keith Olbermann and Bill Simmons were among big names talents who were cut loose during that round of layoffs. Later that year, ESPN also laid off 4 percent of the network’s global workforce, affecting 300 employees. ESPN also had a round of layoffs in 2013. ESPN fortunes have waned due to increasing rights fees and fewer subscriptions due to cord-cutting. ESPN is now paying over $3.3 billion annually just to broadcast the NFL and NBA. 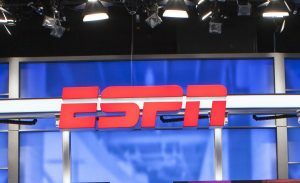 ESPN’s subscriber count has fallen by 12 million over five years, amounting to a loss of nearly a billion dollars annually.